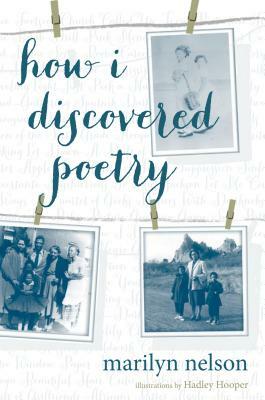 Memoirs are a vehicle for writers to explore their past and find out what has shaped their lives. They are also a way for readers to see many different ways of living. We get to find out how other people have faced challenges and what kinds of choices they’ve made. For me, memoirs have often been inspirational. I’ve also been happy to find that I am not alone in some of my struggles. While I didn’t have the same childhood as Sonia Manzano, I could relate to some of the situations she went through with her parents. While reading Becoming Maria: Love and Chaos in the South Bronx, I couldn’t help but be brought back to some of the scary times in my own home. Memoirs, like other books, provide mirrors and windows for us all. If you’re looking for memoirs, here are a few that I’ve enjoyed or look forward to reading soon. Summary: Set in the 1970s in the Bronx, this is the story of a girl with a dream. 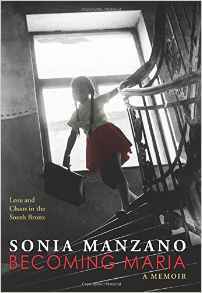 Emmy Award-winning actress and writer Sonia Manzano plunges us into the daily lives of a Latino family that is loving–and troubled. This is Sonia’s own story rendered with an unforgettable narrative power. When readers meet young Sonia, she is a child living amidst the squalor of a boisterous home that is filled with noisy relatives and nosy neighbors. Each day she is glued to the TV screen that blots out the painful realities of her existence and also illuminates the possibilities that lie ahead. But–click!–when the TV goes off, Sonia is taken back to real life–the cramped, colorful world of her neighborhood and an alcoholic father. But it is Sonia’s dream of becoming an actress that keeps her afloat among the turbulence of her life and times. Spiced with culture, heartache, and humor, this memoir paints a lasting portrait of a girl’s resilience as she grows up to become an inspiration to millions. 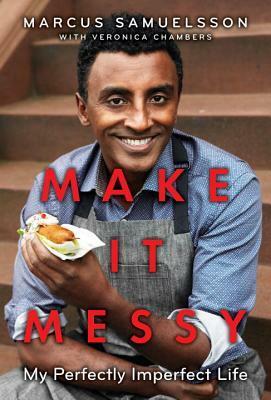 Summary: In this inspirational autobiography, world-famous chef Marcus Samuelsson tells his extraordinary story and encourages young people to embrace their mistakes and follow their dreams. Based on his highly praised adult memoir, Yes, Chef, this young adult edition includes an 8-page black-and-white family photo insert. Summary: Be inspired to reach for your dreams! 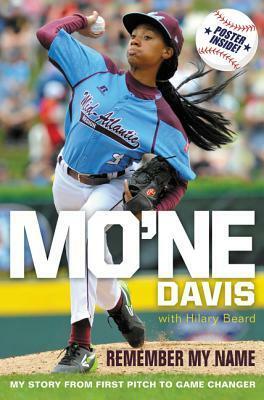 In August 2014, Mo’ne Davis became the first female pitcher to win a game in the Little League World Series and the first Little Leaguer to be featured on the cover of Sports Illustrated, and a month later she earned a place in the National Baseball Hall of Fame. She was thirteen years old. This inspiring memoir from a girl who learned to play baseball with the boys and rose to national stardom before beginning eighth grade will encourage young readers to reach for their dreams no matter the odds. Mo’ne’s story is one of determination, hard work, and an incredible fastball. Mo’ne is a multisport athlete who also plays basketball and soccer and is an honor-roll student at her school in Philadelphia. With an eight-page full-color photo insert and an exclusive keepsake poster, this memoir celebrates our fascination with baseball in a story of triumph to be shared with generations of young readers to come. 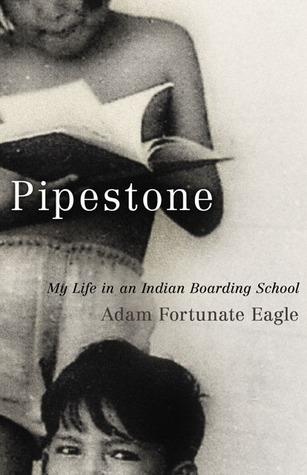 Summary: A renowned activist recalls his childhood years in an Indian boarding schoolBest known as a leader of the Indian takeover of Alcatraz Island in 1969, Adam Fortunate Eagle now offers an unforgettable memoir of his years as a young student at Pipestone Indian Boarding School in Minnesota. In this rare firsthand account, Fortunate Eagle lives up to his reputation as a Were all Indian boarding schools the dispiriting places that history has suggested? This book allows readers to decide for themselves. 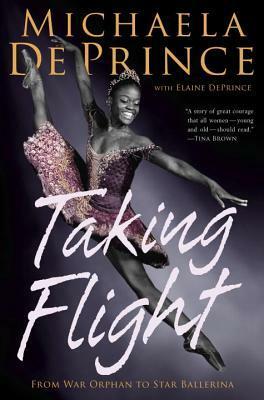 Summary: The extraordinary memoir of Michaela DePrince, a young dancer who escaped war-torn Sierra Leone for the rarefied heights of American ballet. Summary: “I am Malala. This is my story.” Malala Yousafzai was only ten years old when the Taliban took control of her region. They said music was a crime. They said women weren’t allowed to go to the market. They said girls couldn’t go to school. Malala’s powerful story will open your eyes to another world and will make you believe in hope, truth, miracles, and the possibility that one person- one young person- can inspire change in her community and beyond. 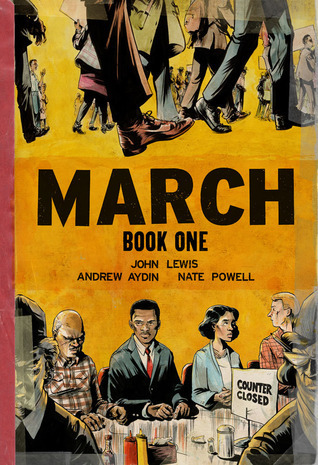 Summary: March is a vivid first-hand account of John Lewis’ lifelong struggle for civil and human rights, meditating in the modern age on the distance traveled since the days of Jim Crow and segregation. Rooted in Lewis’ personal story, it also reflects on the highs and lows of the broader civil rights movement. 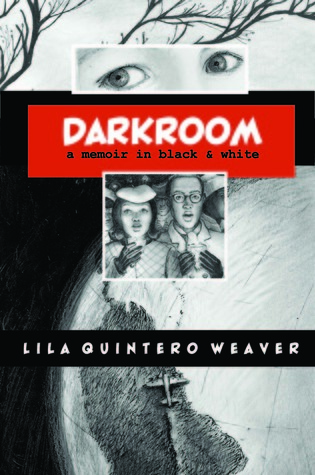 Summary: Darkroom: A Memoir in Black and White is an arresting and moving personal story about childhood, race, and identity in the American South, rendered in stunning illustrations by the author, Lila Quintero Weaver. In 1961, when Lila was five, she and her family emigrated from Buenos Aires, Argentina, to Marion, Alabama, in the heart of Alabama’s Black Belt. As educated, middle-class Latino immigrants in a region that was defined by segregation, the Quinteros occupied a privileged vantage from which to view the racially charged culture they inhabited. Weaver and her family were firsthand witnesses to key moments in the civil rights movement. But Darkroom is her personal story as well: chronicling what it was like being a Latina girl in the Jim Crow South, struggling to understand both a foreign country and the horrors of our nation’s race relations. Weaver, who was neither black nor white, observed very early on the inequalities in the American culture, with its blonde and blue-eyed feminine ideal. Throughout her life, Lila has struggled to find her place in this society and fought against the discrimination around her. 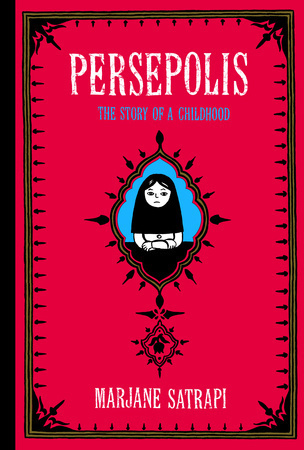 Summary: Wise, funny, and heartbreaking, Persepolis is Marjane Satrapi’s memoir of growing up in Iran during the Islamic Revolution. In powerful black-and-white comic strip images, Satrapi tells the story of her life in Tehran from ages six to fourteen, years that saw the overthrow of the Shah’s regime, the triumph of the Islamic Revolution, and the devastating effects of war with Iraq. The intelligent and outspoken only child of committed Marxists and the great-granddaughter of one of Iran’s last emperors, Marjane bears witness to a childhood uniquely entwined with the history of her country. 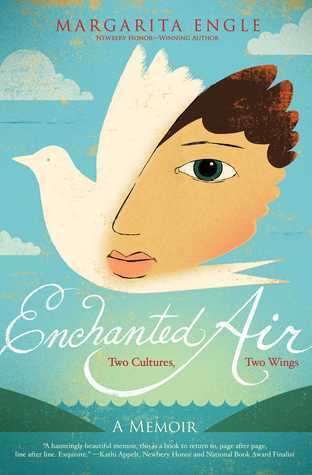 Summary: In this poetic memoir, Margarita Engle, the first Latina woman to receive a Newbery Honor, tells of growing up as a child of two cultures during the Cold War. Summary: A powerful and thought-provoking Civil Rights era memoir from one of America’s most celebrated poets. A first-person account of African-American history, this is a book to study, discuss, and treasure. 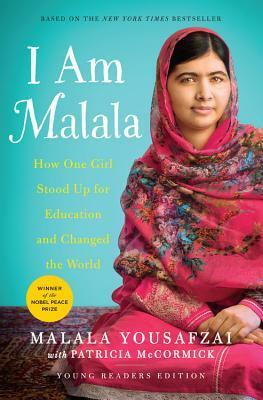 I’ve read Malala’s memoir and loved it. 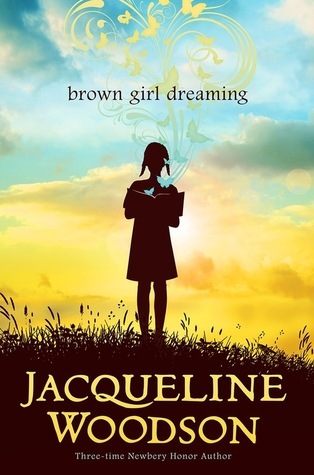 Also, I’ve had my eye on Brown Girl Dreaming for a while. I was literally eyeing it this past weekend at my book store but was limited to one book purchase that week..
What a wonderful reading list – many new to me – thank you.